What is the Firefly Light? 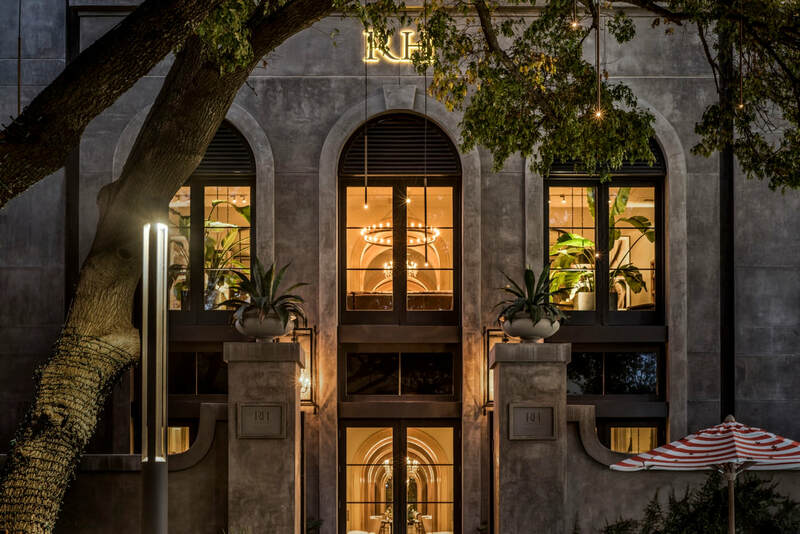 In addition to our lighting services, we have proudly designed and created the signature “Firefly by KFi”, a simple yet stylish pendent light fixture that can be installed in trees, arbors, pergolas, pavilions and covered patios. The hanging pendant light can be constructed of copper tubing, metal, bamboo, or a variety of materials with a single low watt incandescent bulb. The clear incandescent bulb has a visible tungsten filament that lights up like a miniature torch, making it highly visible from afar without producing any glare. These hanging pendant lights can be installed individually or randomly placed groups. Why Choose the Firefly Option? The Firefly is remarkably unobtrusive and a great choice for "Dark Sky" friendly environments. 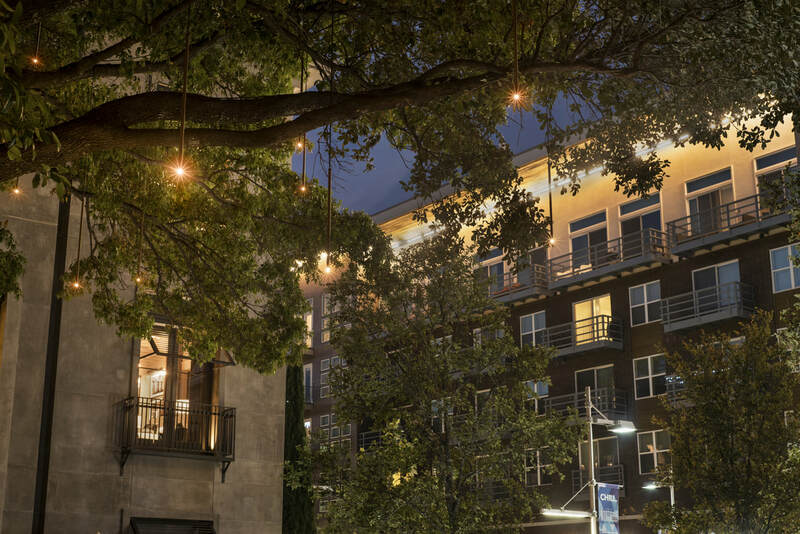 While more commonly installed in trees with spreading canopies, the Firefly integrates beautifully with architectural structures such as arbors, pergolas and gazebos. 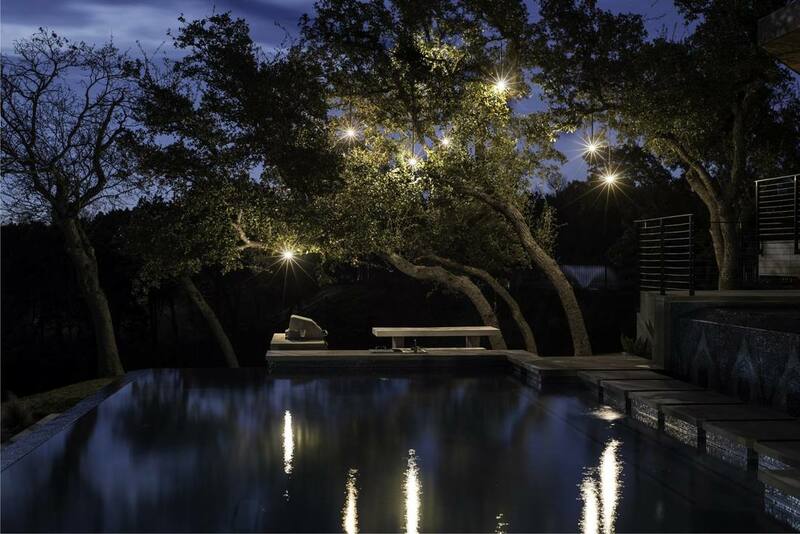 The Firefly is a unique, one of a kind fixture that will change the way you feel about landscape lighting. The firefly pendant lights are a beautiful addition to any outdoor setting for either residential or commercial applications. 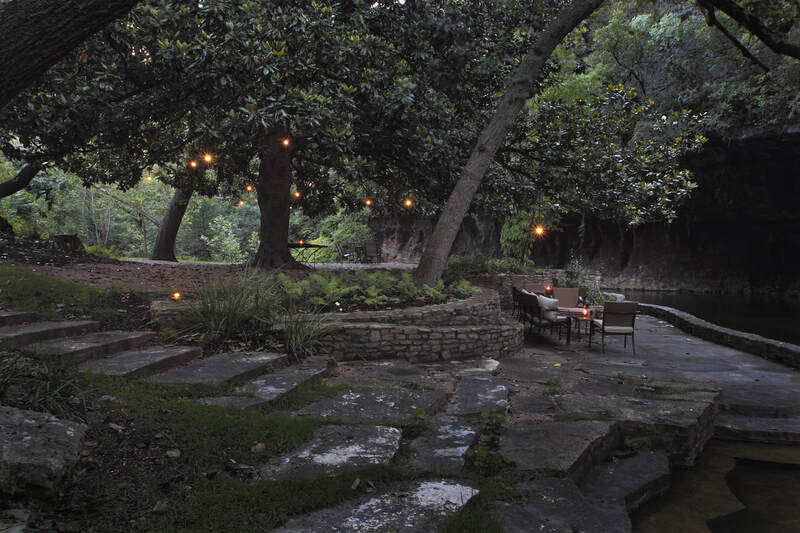 The lights are a welcome addition to traditional landscape lighting by bringing life to the evening landscape and a sense of wonder and connection to the nighttime sky. The individual or clustered pendants float through the evening, gently drifting on the breeze animating the night with a natural charm. Our firefly light customers receive endless compliments about the uniquely simple yet magical ambience these bring to their home or business. These firefly lights are a dazzling, one of a kind light fixture and provide a lasting impression that are a must see. Download our Firefly Lighting brochures below for additional information and specs. 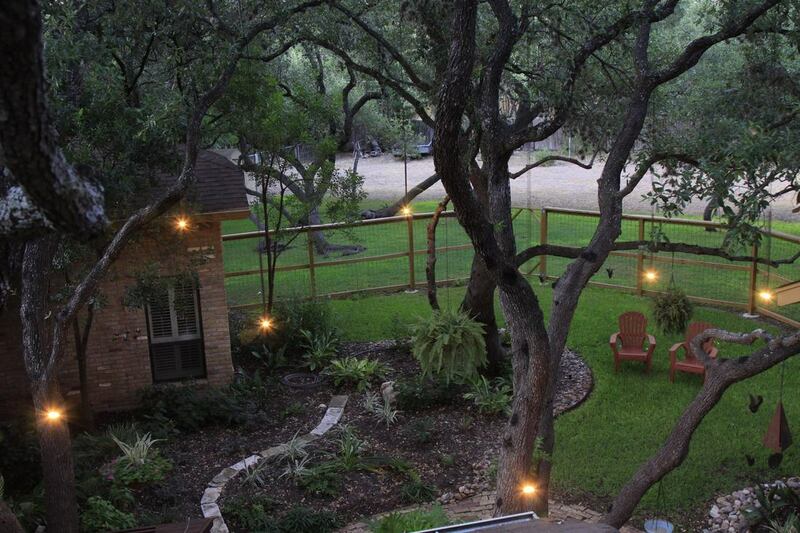 "Kelly Francis Illumination installed Firefly lights at my bed and breakfast in downtown Austin. The product is exceptional! Each Firefly is handmade and of the highest quality. The system has worked flawlessly since installed over a year ago. Placement of lights is important too. 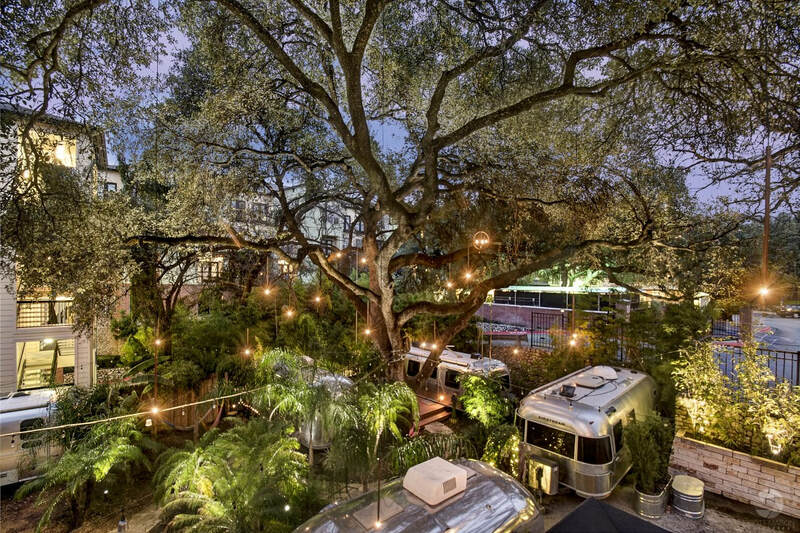 Kelly placed the lights in a large Live Oak tree to maximize effect. The lights produce a starry effect at night. 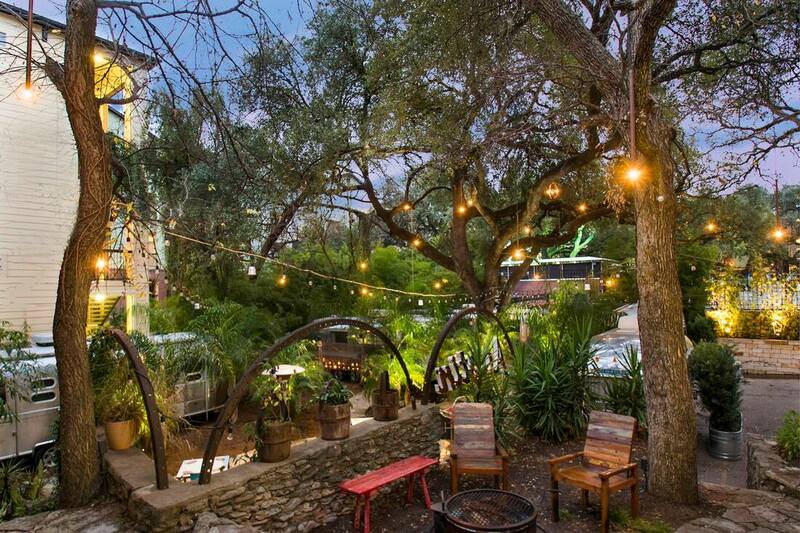 During the day the copper tubes add a cool element to the property's atmosphere."